Whether you have played a course 20+ times a year or looking to play the course for the first time, insights from an insider can help enhance your golf experience. 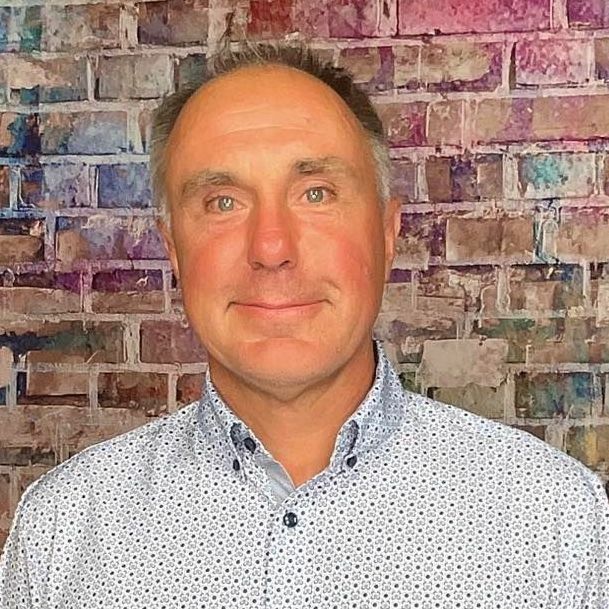 Below is an interview with Kyle Schock who shares some valuable tidbits about the course, memorable holes and must eats and treats at the 19th. The Prairie Club sits right on the edge of the Snake River canyon, which cuts right through the heart of the Sandhills and is admittedly close to the middle of nowhere. We chose this completely unique land because it allowed us to create two very distinct championship golf courses--one stretching across miles of sand dunes, and the other running in and out of ponderosa pines along the edge of the Snake River canyon. Yet different as they are, both of them stand as testaments to what we believe 'pure golf' was meant to be--fun, minimalistic, and uncluttered by distractions. We moved an almost unthinkably-low amount of land when creating the courses. Some holes we literally removed the native grasses and seeded the land just as it was. And when you combine the golf with our luxurious (yet very much unpretentious) lodging and incredible food, the experience is truly remarkable--there is a level of peace here that simply must be experienced to believe. To top it off, our staff takes pride in ensuring every one of our guests receives truly authentic Midwestern hospitality throughout their stay (that's right--Nebraskans are collectively quite proud of how humble their service can be!). All-in-all, we strive to make the total Prairie Club 'adventure' is one that you won't find anywhere else in the world, and worthy to be a true bucket-list experience for everyone who truly loves the game of golf. The Sandhills is a remarkable landmass. 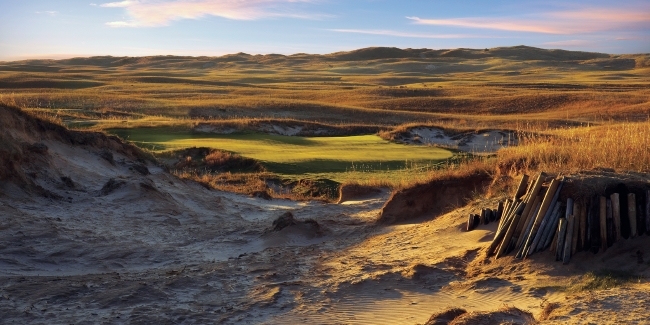 The combination of being unsettled by mankind, having perfect sandy soil, and undulating dunes that scream "golf" allows for a completely natural golf design with a uniquely American twist. The Prairie Club sits right on the rim of the Snake River canyon, which cuts through the heart of the Sandhills in dramatic fashion. Its three courses are so dramatically different, you will think you are in different countries at times. Combined with world-class lodging and dining and authentic Midwestern hospitality, the total experience is a sort of paradise for the golf nut. As famed golf architect Alister MacKenzie once said, "The ball is meant to roll". Our courses were designed according to the way the game was meant to be played, and we encourage everyone to put away the lob wedge around the green, and take out a lower-lofted club. Heck, take out a putter from 50 yards if you have to! Take note of the undulations, and let the ball do what it was meant to do. We also encourage all golfers to walk our courses and to take a caddie. Their knowledge of the courses and the game adds something completely intangible to your experience, and we would stand to argue that any course must be walked to be truly enjoyed. If you've never experienced golf by walking or taking a caddie before, we encourage you to give it a shot. You won't regret it. This is a subject of much debate among members and our public guests. Some favor #4 on the Dunes Course, while others favor #16 or the risk-reward par 5 #18 on the Pines Course. Ultimately, it comes down to a matter of personal preference, as the absence of any buildings or man-made structures on every hole out here allows each hole to be appreciated all by itself. My personal favorite is the 16th hole on the Pines Course. It is long (around 430 yards from the tips) and plays into the prevailing north wind. Your tee shot must be played through the thick stands of ponderosa pines on each side of the fairway, and the further right you challenge your drive, the better angle you will have at attacking the tightly-guarded green, which has a collection area on the right to serve as a bailout. If you bomb your drive you can attack the green with a higher-lofted club, otherwise you need to carefully plan your miss on your approach. The visuals make the hole appear far more intimidating than it is in reality. Overall, it is a surprisingly fair par 4 that offers a good chance at birdie, with an equally good chance at bogey or worse if you make a few mistakes. The Nebraska grass-fed beef is beyond compare and the ribeye, strip, and filets are all simply must-haves. For fish lovers, the canyon walleye is one of the best freshwater fish in the world. The course record on the Dunes is currently 66 (-7) from the back tees. The Pines course record is 67 (-6) from the back tees.